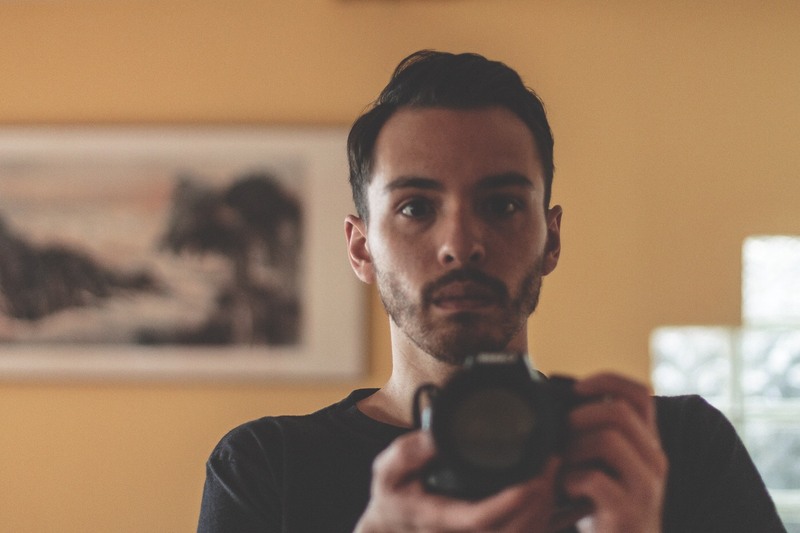 EDITOR'S NOTE: All WNY welcomes Zach M. Anderson to our ever-extending lineup of contributors. Zach will be publishing music and concert reviews, as well as photos. Fans of indie music and DIY culture flocked to North Buffalo on Jan. 16, braving the frigid winter chill and the impending early-morning commute, for a righteous house show hosted by Carpool. 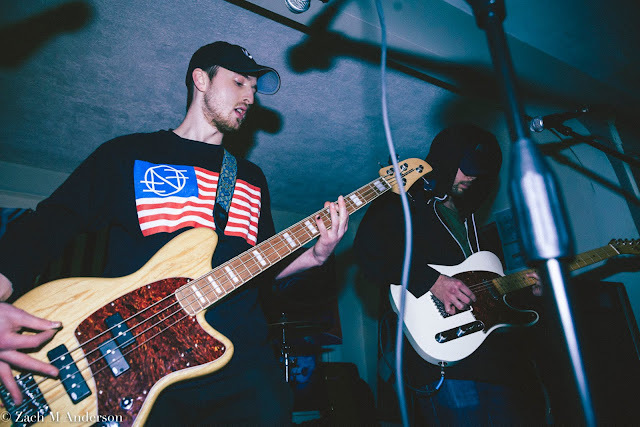 A four-piece emo-shoegaze band originally from Rochester, the recent Buffalo transplants used the occasion to kick off their tour with Syracuse’s Lily Grave, all while fostering a community of musicians and fans under one roof. Setting the stage -- or rather living room -- was Milo Duhn, a young singer-songwriter of passionate conviction and impressive guitar techniques. 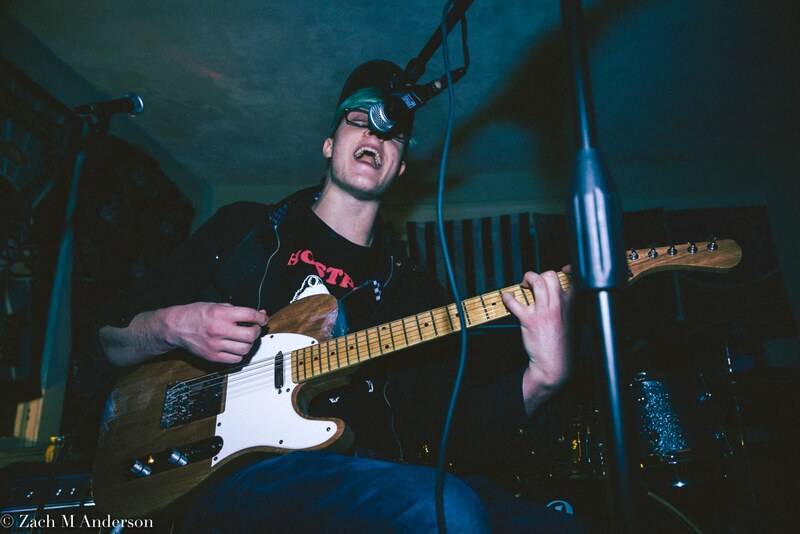 (His use of math-rock-inspired chord progressions and harmonics was especially noteworthy.) Sitting atop a small amplifier with an $80 guitar, his resonant voice and heartfelt lyrics forged an intimate connection with the crowd. Following that was a (relatively) stripped-down set from Previous Love, an ear-splittingly loud shoegaze trio whose drummer was out of town for the evening. Undeterred, the band traded volume and impact for gossamer subtlety, using gauzy textures and the occasional fuzz pedal not to overwhelm, but to soothe––as much as songs about personal anguish and emotional drama can soothe, of course. Lily Grave made the trip from Syracuse. 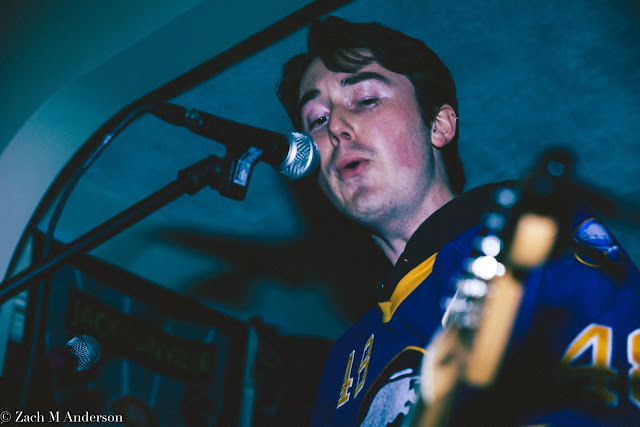 Lily Grave turned it up to eleven with a characteristically dynamic showcase of their noise-rock-adjacent jangle pop sound. Deftly marrying grunge-worthy fuzz with honeyed melodies and chiming guitars, Mike McVeen and company reminded their friends and fans how undeniably exciting loud music can be. The irony of Carpool's latest album title kind of stings. Having already annoyed the neighbors, Carpool upped the ante with a decidedly forceful run-through of songs from their latest album, I Think Everyone’s A Cop. 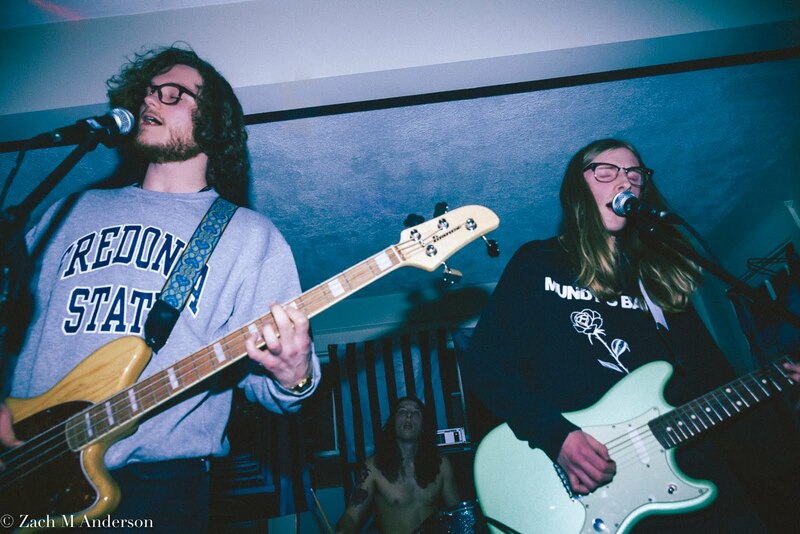 Combining the heart-aching confessionals and intertwining guitar melodies of midwestern emo with shoegaze’s sonic cacophony, Carpool turned personal pain into high drama with a healthy dose of wry self deprecation. 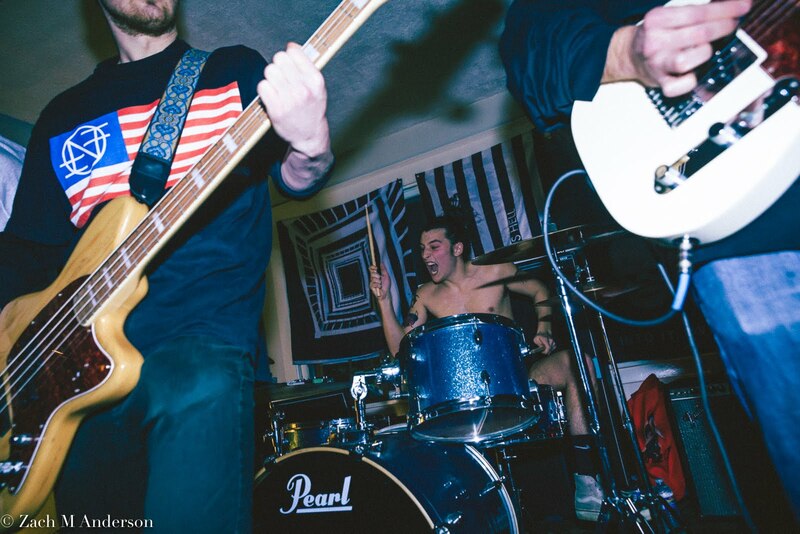 While this abrupt cancellation was a painful reminder of the precarious state of underground venues and DIY spaces in Buffalo, particularly in residential areas, the overwhelming sense of community and camaraderie in that darkened, cramped space was a telling reminder of the love people have for the Buffalo music scene, and the bands’ dedication to Doing It For The Art. Not a bad way to spend a Wednesday night. Zach M. Anderson is a Buffalo native with a camera and a love for capturing the ephemeral, specializing in concert and portrait photography, with forays into street, landscape, and lifestyle subjects. You can find more on his website, Instagram and Twitter.